Reactor Z1-500 cabinet comes up with black color and radiant red color reactor design. You can have enormous space in it. This beast has an irresistible look with powerful specifications. If you have this cabinet, you feel like ace. 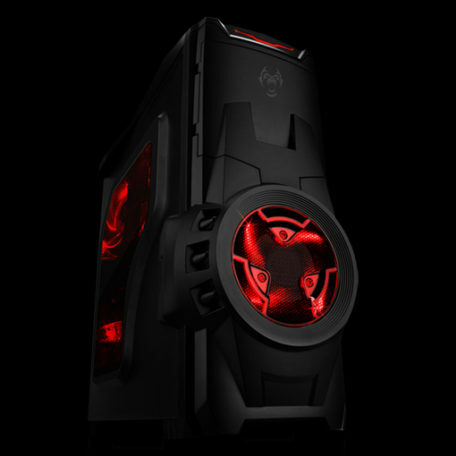 Reactor is strongly built high performance case with artfully crafted exterior. It also looks stylish with its spunky edges. 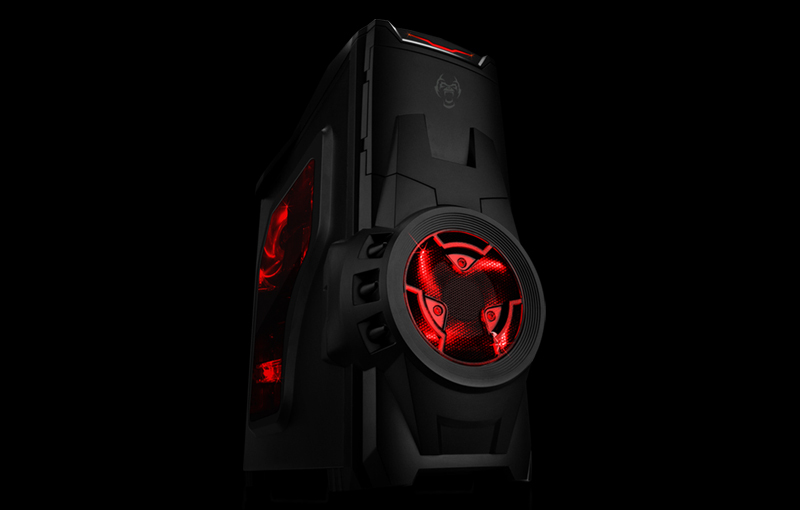 This gaming case made up of Acrylic and Steel for endurance and stability that makes it a real tough. This mighty metallic cabinet with chassis size L400*W183*H420mm and case size L478*W208*H508mm. Reactor supports 2 hidden HDD bays of 3.5”, 3 SSD bays of 2.5” which is used for faster boot times and data read/write speeds and 2 optional drive bays of 5.25’. Reactor Z1-500 supports 400mm mega graphic card. It has 7 PCI expansion slots. Reactor Z1-500 equipped with an upgraded I/O panel, you get memory card reader, fan speed controller and 4 USB ports including 2 USB 3.0 and USB2.0 +HD Audio. The classy I/O includes 2 high speed USB 3.0 ports for quicker data transfer. It is the best cabinet you can find if you are cash starved pc enthusiast like me. Very good airflow, sturdily built, ample space if you want to go a bit overboard, and best of all, it looks awesome when you set it up. And hats off to the customer support from the seller. Thanks for you valuable feedback.